Examples, solutions, videos, and worksheets to help Grade 6 students learn about the Associative Property. 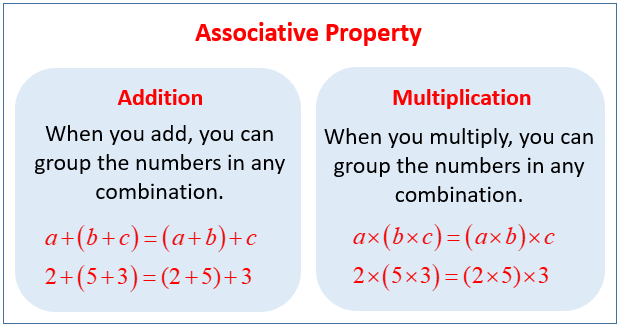 The following figures give the Associative Property of Addition and Multiplication. Scroll down the page for more examples and solutions. This tutorial shows how one can use the associative property of multiplication to solve longer multiplication sentences.